Organizations, regardless of the industry, have been struggling with global sales due to the ever-evolving regulatory compliance, legal requirements, import/ export issues, technical specifications, and timing. Groundbreaking technological advancements also contribute toward the regulatory obscurity as they blur the differences between products such as computers and mobile phones. 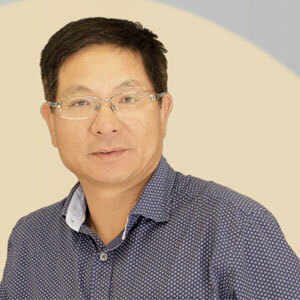 Understanding this struggle of attaining a reduced time-to-market through the winding regulatory road, manufacturing veteran, Leslie Bai, points out that the primary pain-points surrounds not only the regulatory conformities but also the technological changes caused by the inability of applying old standards to new technology. The cornerstone of SIEMIC was laid with an aim to navigate organizations amid the unfamiliar regulatory waters. Catering to issues around the regulatory and technological continuum, “SIEMIC helps organizations comply with all necessary ITE regulatory compliances worldwide and create great value in the global market sales,” explains Bai, SIEMIC’s general manager. As an internationally recognized certification body, SIEMIC caters to the compliance needs for product testing, validation, training services, as well as inspection and audit services. With the end goal of helping clients with swift global certification, SIEMIC takes its clients through a three step-business journey involving testing, certifications, and international approvals. Prior to any product launch, SIEMIC handles the client’s paperwork, documentation, sample, and reviews required for international approvals. Leveraging years of experience in technical judgment, the company provides a tailor-made evaluation and conformity assessment for each product, guaranteeing compliance and the facts defined on that product. Having the ability to help customers understand the complexities of compliance and regulatory issues across the supply chains, the company makes a tactical judgment about the client’s products’ safety concerns and is authorized to issue certification based on the test reports. SIEMIC’s ISO 17025 accredited compliance test laboratories and ISO 17065 accredited product certification services offer best-in-class testing equipment and offer two decades of data backups. The company maintains confidentiality as a top priority in their compliance test laboratories as they cater to global leaders in manufacturing, medicine, and the automotive industry. SIEMIC’s client base mainly comprises of organizations that need to meet technical requirements and certifications before launching their products in the global markets. Their impressive list of clientele partnership for manufacturing includes Samsung for mobiles, Medtronic for medical devices, HID Global for access control systems, Polycom for conference equipment, and Zebra Technologies for handheld barcode scanning devices, to name a few. SIEMIC also triumphs over transforming two garage startup companies into multinational powerhouses and public companies. Evidently, the company’s global presence in nine locations, impressively reliable customer care, and streamlined approach toward compliance has earned loyal clients who are heavily dependent on SIEMIC’s easy regulatory practices. SIEMIC’s secret for a quicker time to market (TTM) lies in its acute attention to the future market trends toward technology as well as upcoming global regulations. Having the entire service on the cloud, SIEMIC’s testing procedures, and the quality of services remain consistent worldwide—making the entire compliance testing process convenient for their clients. When a client’s certification expires after three to five years, SIEMIC speeds up the certification renewal process by saving the client’s data three months before the expiration. A recent acquisition by Bureau Veritas, the world’s largest regulatory compliance testing, certification, and inspection company has allowed SIEMIC to expand its testing capabilities from just manufacturing to other verticals such as chemical, mechanical, furniture, and fashion. Foreseeing the relevance of regulatory compliance shift from a luxury to a legal requirement, SIEMIC is committed to helping clients with existing and upcoming business problems and achieving the right value of the business.